Keep customers engaged wherever their adventures take them. Boost returns on your investment in customer experience. Personalize the shopping experience for every customer. Shine brighter by responding to customers in real time. Delight customers with engaging web and mobile apps. Provide an experience that is personalized for each customer. Deliver smart apps that surface your CRM data in new ways. Ensure customer trust with built-in security and compliance. 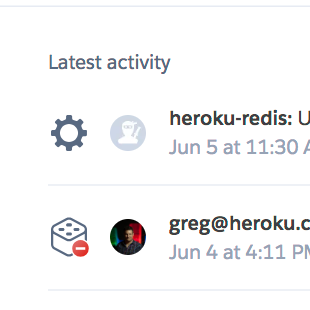 See how Heroku and Lightning Platform together deliver a powerful customer experience. Bring IT and developers together with common tools and dashboards. Let developers to do their best work with their choice of language and tools. Enable collaboration with common dashboards for shared visibility across teams. Meet IT’s requirements for compliance, security, and scalability. 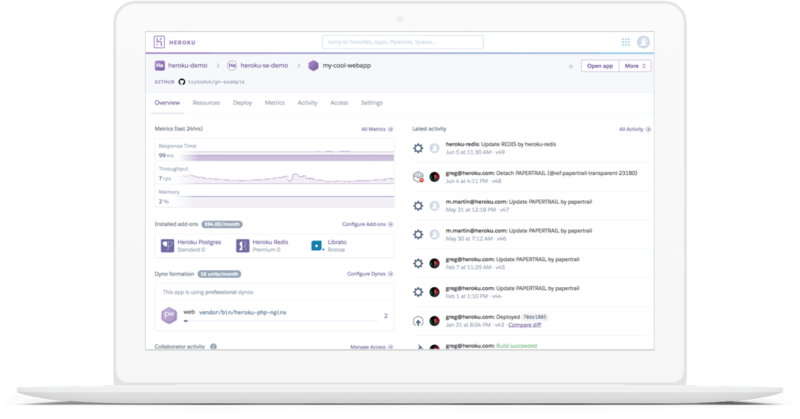 Discover three ways to extend Salesforce with Heroku. 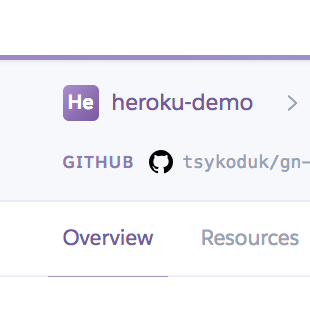 Deploy your GitHub code to apps running on Heroku. View application metrics on your dashboard. Choose from 150+ partner add-ons. Enable team collaboration by providing visibility into app activity. 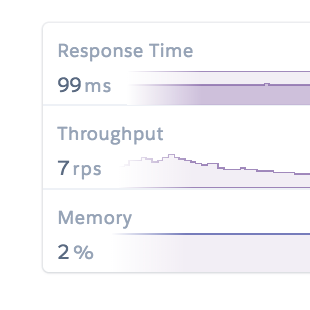 Heroku handles more than 23 billion requests every day. Choose from three quick-start options and begin building apps in no time. Perfect for small projects. Allows individuals to create and deploy basic apps. Do more with your app and build together as a team. Launch apps quickly and scale easily as your apps gain popularity. 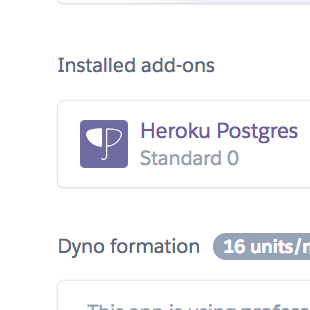 Join other companies building stronger customer relationships with Heroku. Investing Involves Risk. Holdings and Performance are hypothetical. Listed investments currently available on Stash but not necessarily representative of all investments. All product and company names are trademarks™ or registered®trademarks of their respective holders. Use of them does not imply any affiliation with or endorsement by them. Information is for educational purpose only.